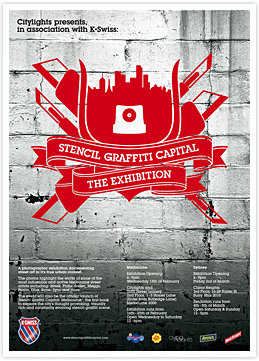 A photographic exhibition documenting street art in it's true urban context. The photos highlight the works of some of the most influential and active Melbourne street artists including: Meek, Phibs, Sixten, Meggs, Psalm, Dlux, Rone, Sync and more. 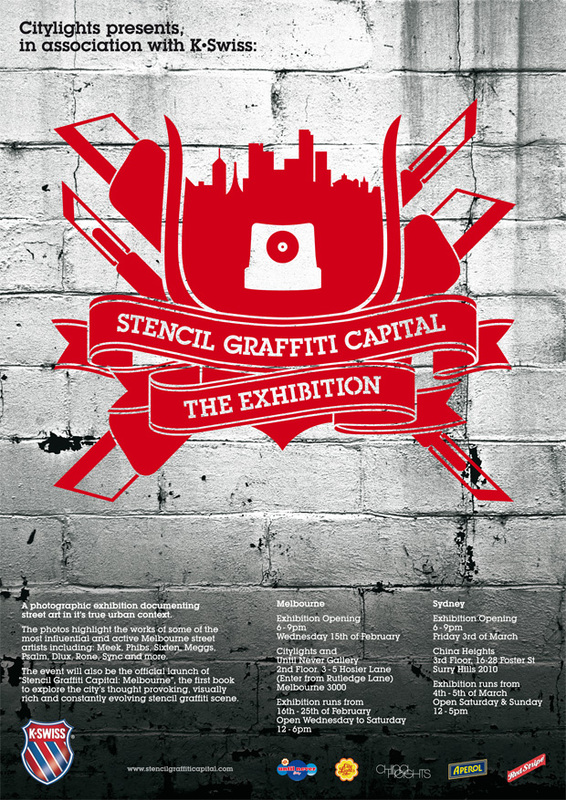 The event will also be the official launch of "Stencil Graffti Capital: Melbourne", the first book to explore the city's thought provoking, visually rich and constantly evolving stencil graffti scene.